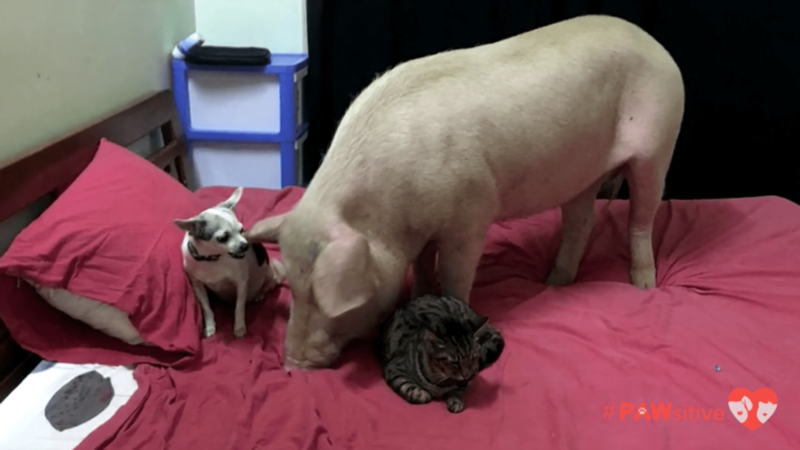 When Julien the piglet was rescued, he made a very unusual friend – Chairman Meow, the cat. When Julien the piglet was rescued, he made a very unusual friend – Chairman Meow, the cat. Take a look at Julien and Chairman Meow, and hear about Julien’s unusual story below.